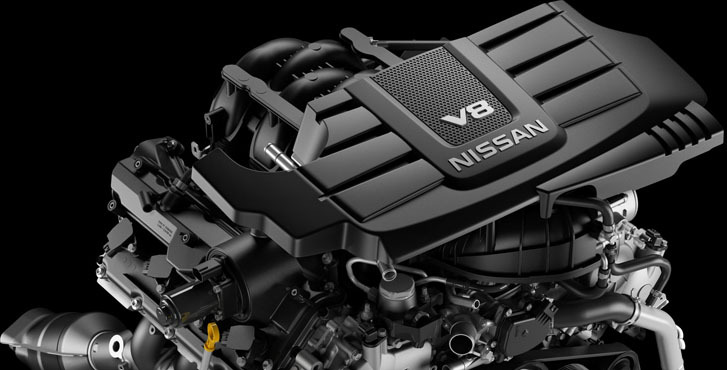 Choose TITAN XD’s Endurance V8 gas engine, and you’ve got the strength of a technological powerhouse under your foot. 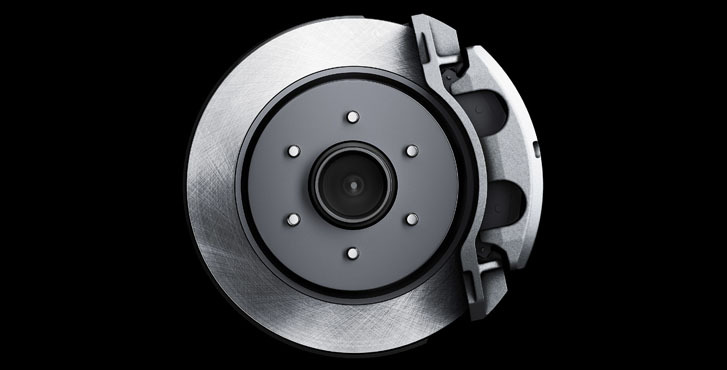 With Direct Injection, a 4-valve-per-cylinder design, and Variable Valve Event and Lift (VVEL®) technology, power, efficiency, and refinement come together in a tested, proven package. The most important rule of construction – build on a solid foundation. TITAN XD started with proven components from our Nissan Commercial Vehicles program and went from there. 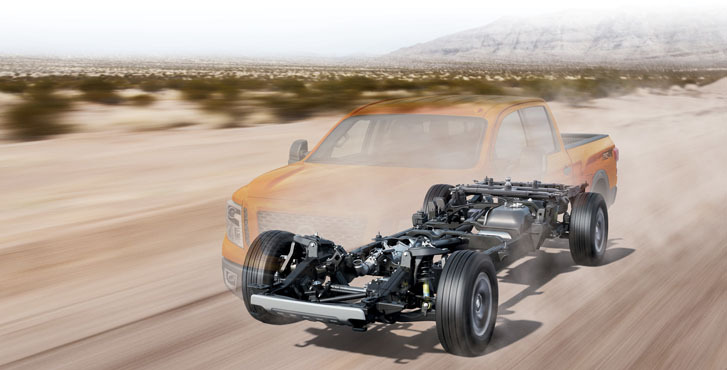 We bolted 14 inches of ventilated, hydraulically boosted stopping power onto all four of the TITAN XD’s big wheels. They’ll help stop your truck, but they won’t slow down the job. To handle the raw power pounding out of the Cummins® Turbo Diesel, we backed it with a heavy-duty 6-speed Aisin® automatic transmission. 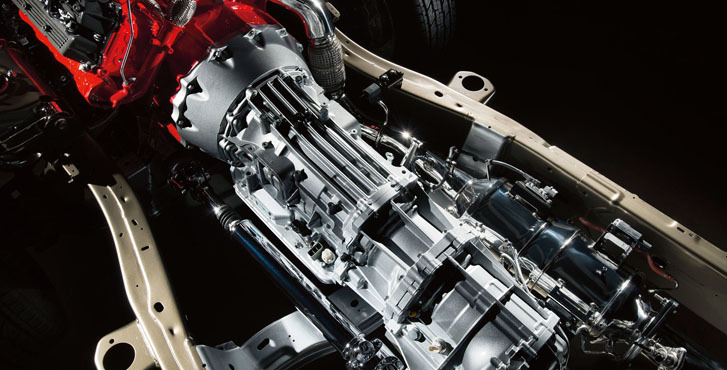 Specially developed by one of the world’s largest suppliers of automatic transmissions, it’s up to the task. The bold, distinctive grille makes it clear TITAN XD is built to handle a serious workload. Unique available LED Daytime Running Lights are a brilliant touch to a smartly designed truck. 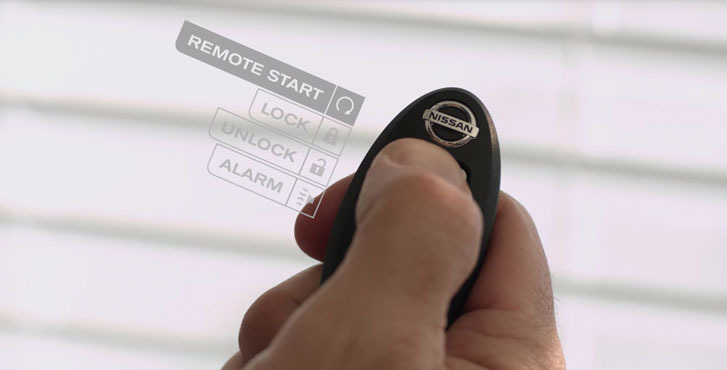 Nissan Door to Door Navigation is just what it says, getting you all the way to your final destination. If you end up parking several blocks away, it will give you a walking route the rest of the way there – a great help in unfamiliar locations. 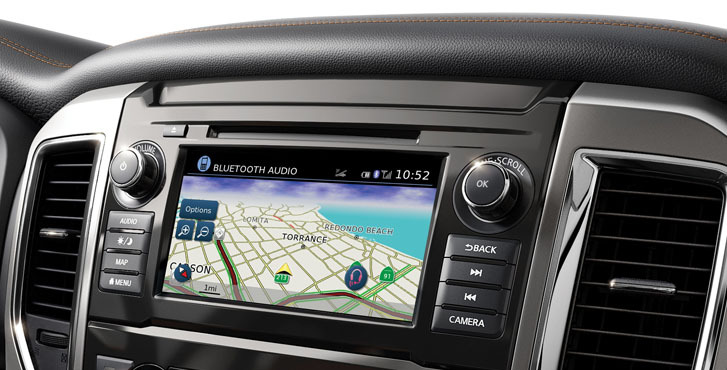 Other NissanConnect® features include detailed real-time Premium Traffic, Bluetooth streaming audio, voice recognition, and more. 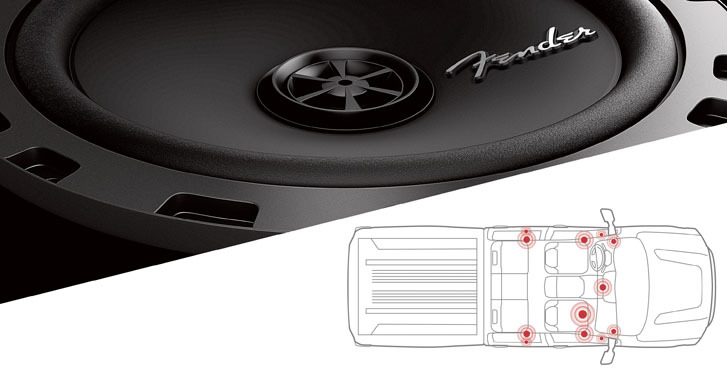 Take your listening experience to another level with the available 12-speaker Fender® Premium audio system. It features a built-in subwoofer for deep, rich bass. 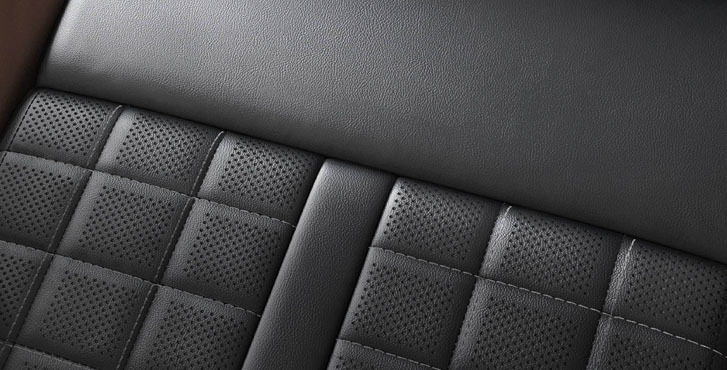 TITAN Platinum Reserve is an especially luxurious place to be, with premium leather-appointed seats with logo, dark chrome interior accents and premium open-pore wood-tone trim. 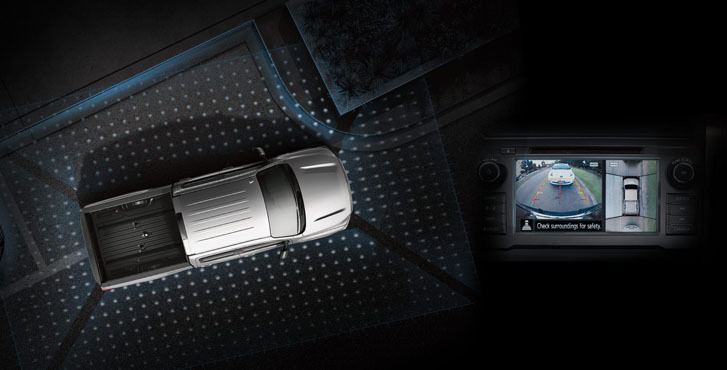 The available Intelligent Around View Monitor helps give you a virtual composite 360° view around your vehicle, so no matter which way you’re parking, you’ll be aware of your surroundings. 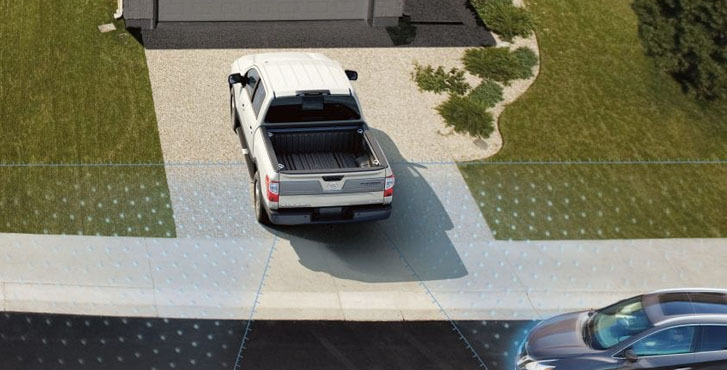 The system also gives you an on-screen heads up when it detects moving objects near your vehicle. We’re looking at you, shopping cart. 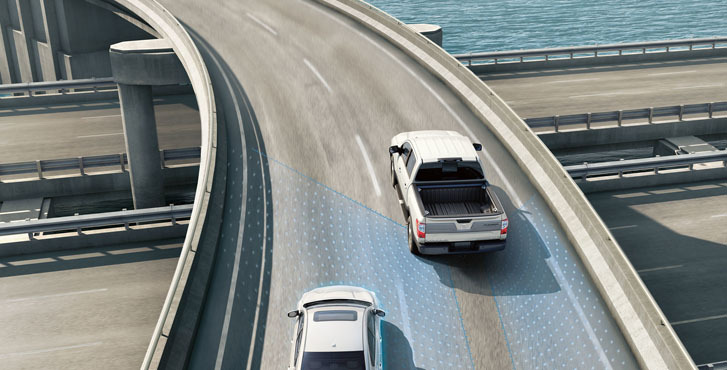 Rear Cross Traffic Alert helps you back out of a space with more confidence. It watches around the rear of your TITAN XD, and can warn you about cars it detects creeping up on you from either side. 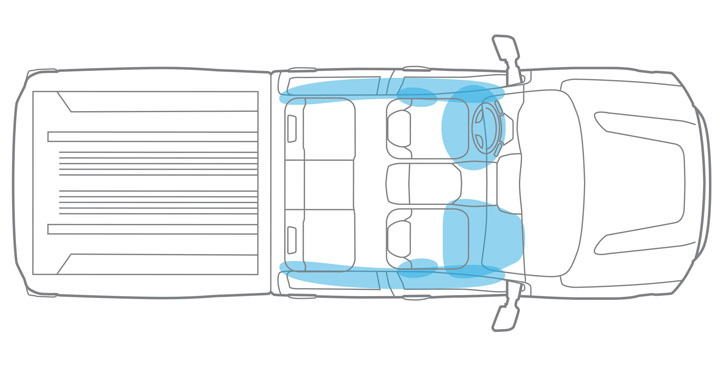 Nissan’s Advanced Air Bag System has single-stage driver and dual-stage passenger supplemental front air bags with seat belt sensors. TITAN XD also features front seat-mounted side-impact supplemental air bags and roof-mounted curtain side-impact supplemental air bags with rollover sensor.